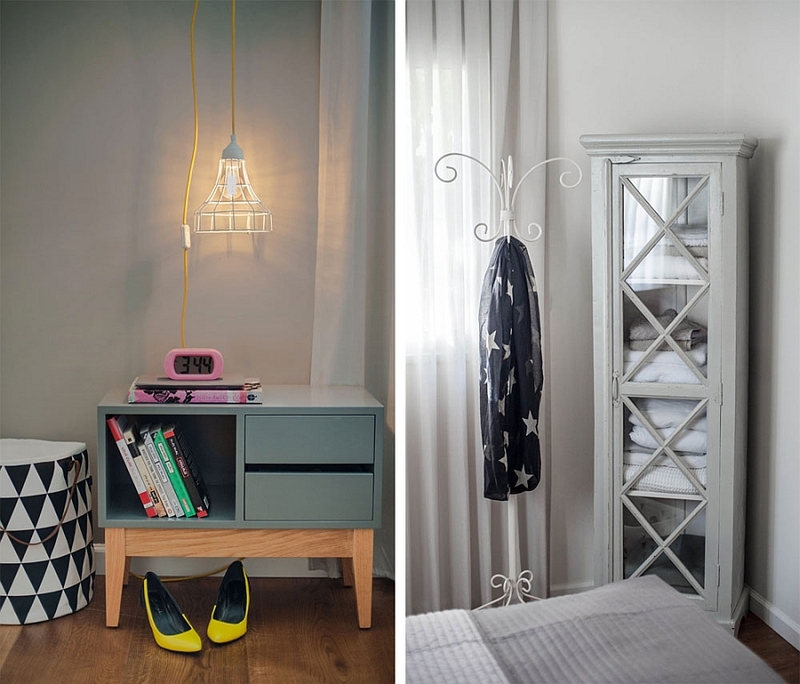 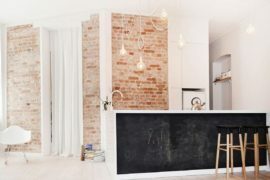 Renovating an existing apartment is often a task that demands plenty of creativity and crafty solutions that maximize precious space. 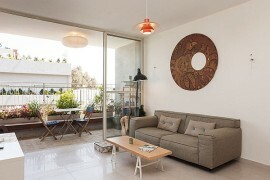 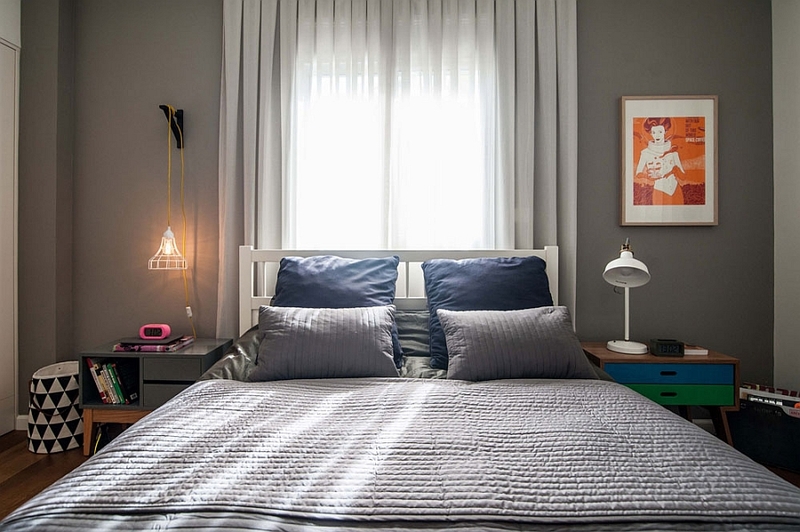 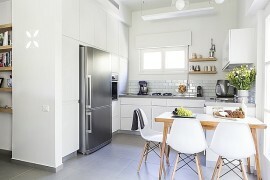 Located in the northern neighborhood of Tel Aviv, this bold and striking apartment was once a dreary crib that inherited much of its design from the mid ’90s. 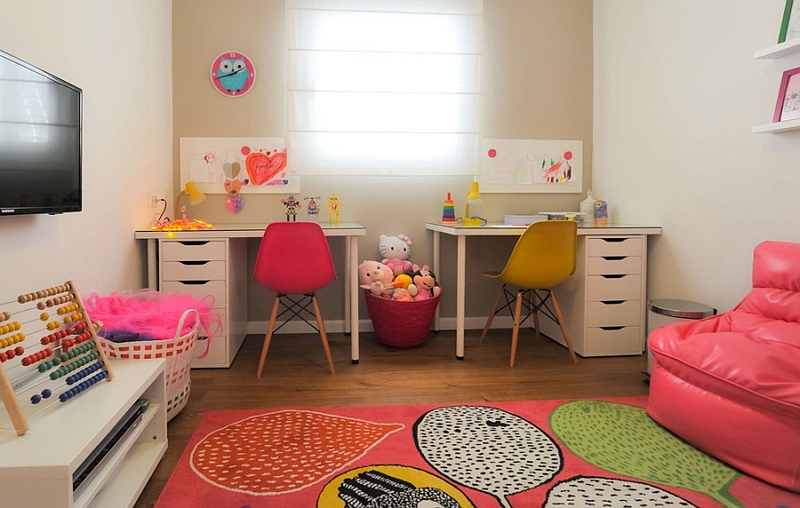 Revamped with an eclectic modern flavor by the ingenious interior designers at Pninit Sharet Azulay, the home serves the needs of a young family with two girls. 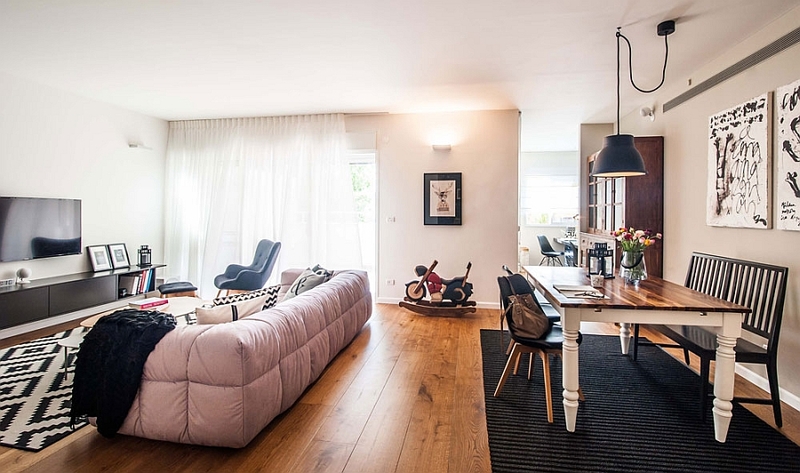 The homeowners wanted some major changes, not just in the layout of the apartment, but also in the ambiance it exudes and the color scheme of every room. 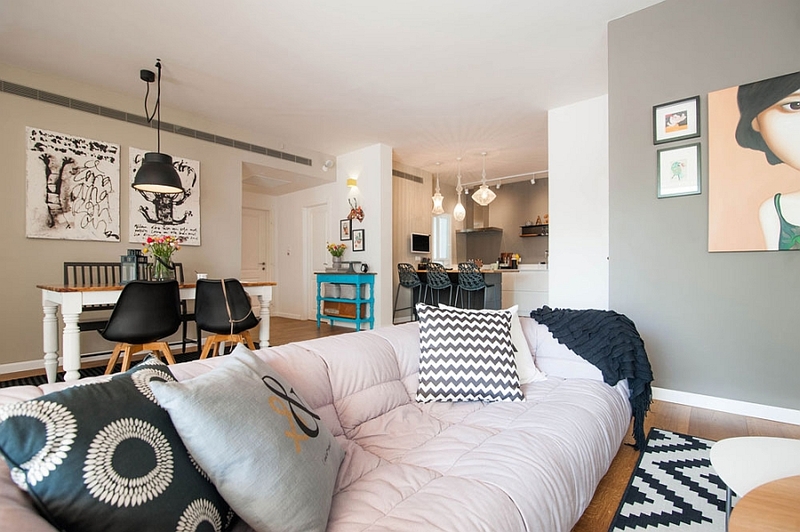 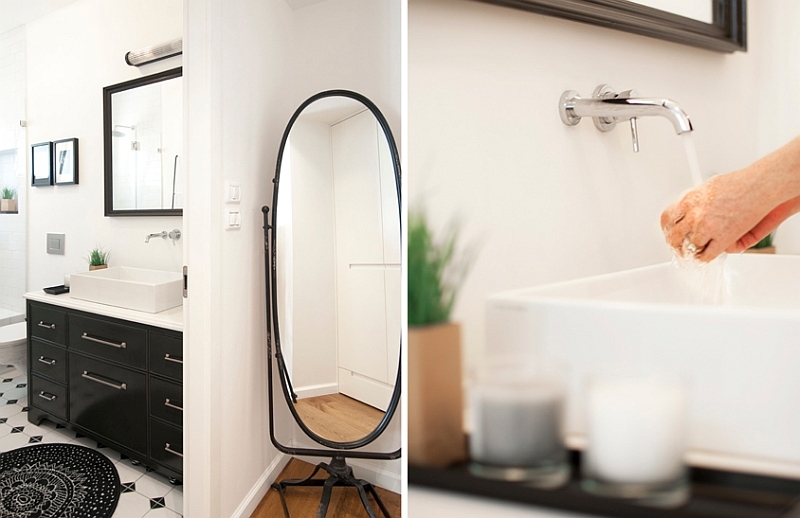 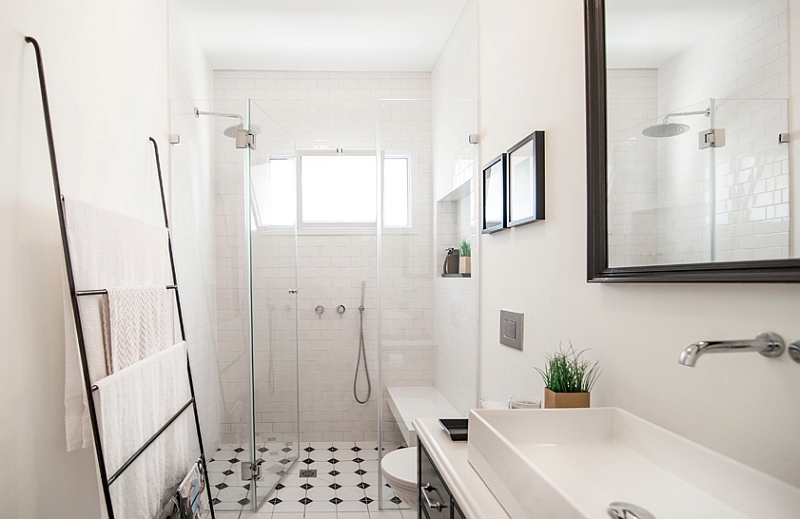 Employing a hip, stylish black and white color scheme throughout the apartment, there is a sense of playful refinement that is unmistakable. 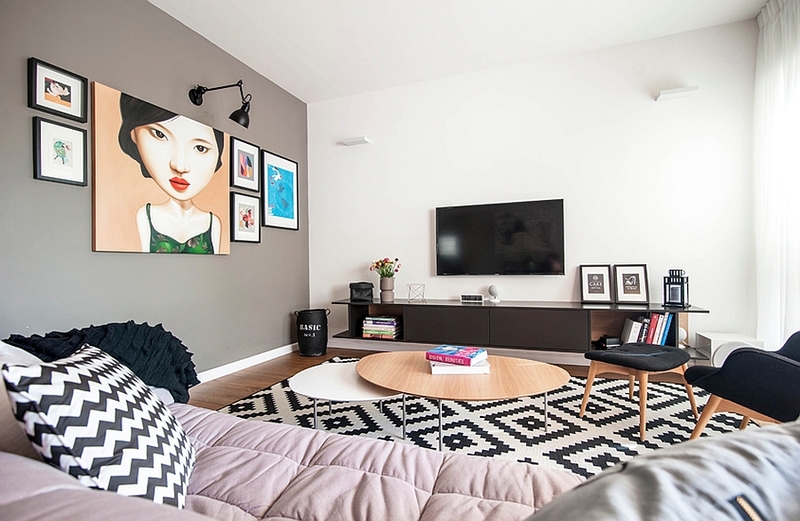 Much of the backdrop is kept neutral to avoid visual fragmentation, while opposing walls in the living space and kitchen are painted grey to usher in a sleek and sophisticated vibe. 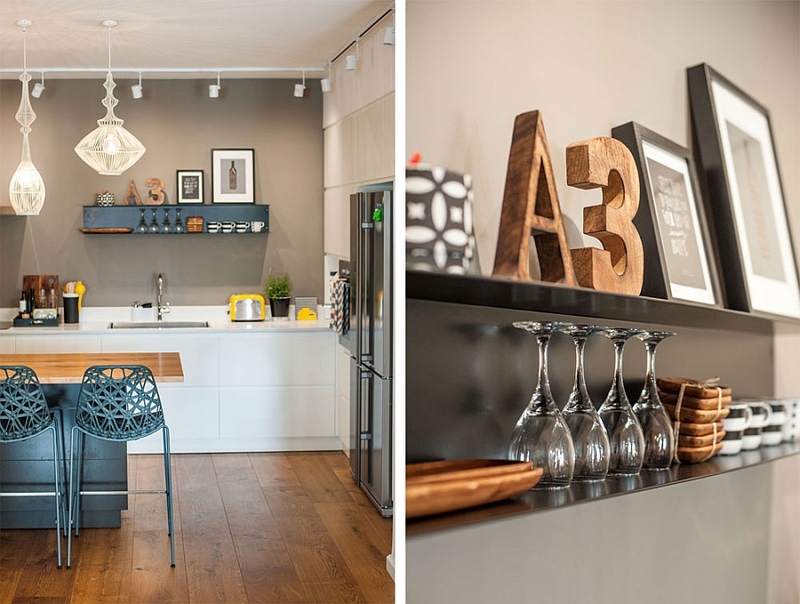 The open floor plan features a living room with a plush couch and an entertainment unit, a compact dining space, and an L-shaped contemporary kitchen with floating shelves that steal the show. 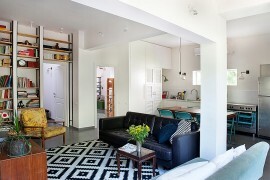 Splashes of turquoise and yellow add accent hues to the apartment, and the beautiful oak floors emanate inviting warmth. 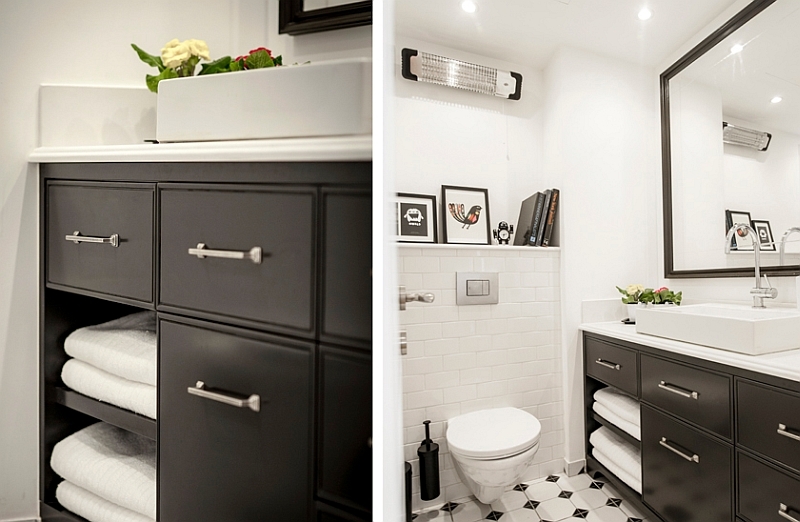 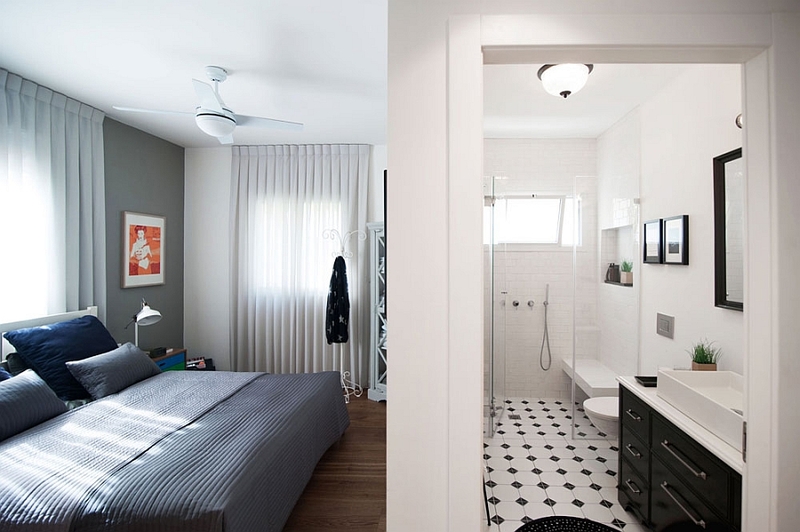 The master bedroom with an adjoining bath follows a similar plan that combines black, white and grey in an elegant manner. 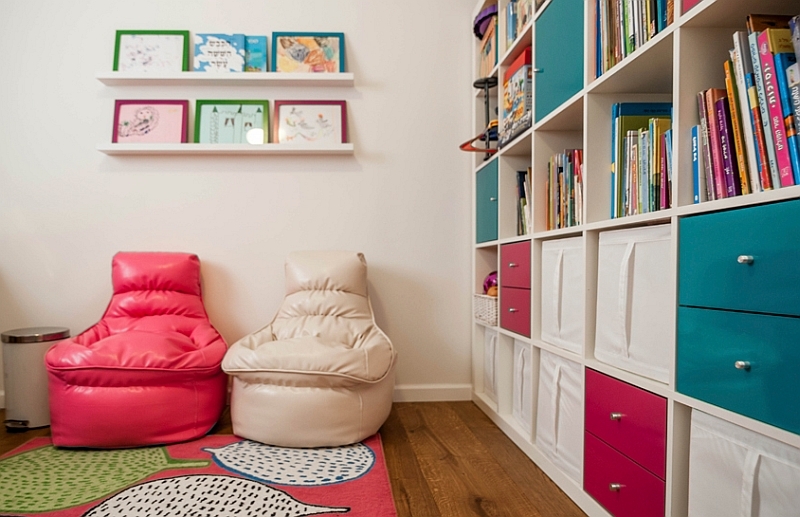 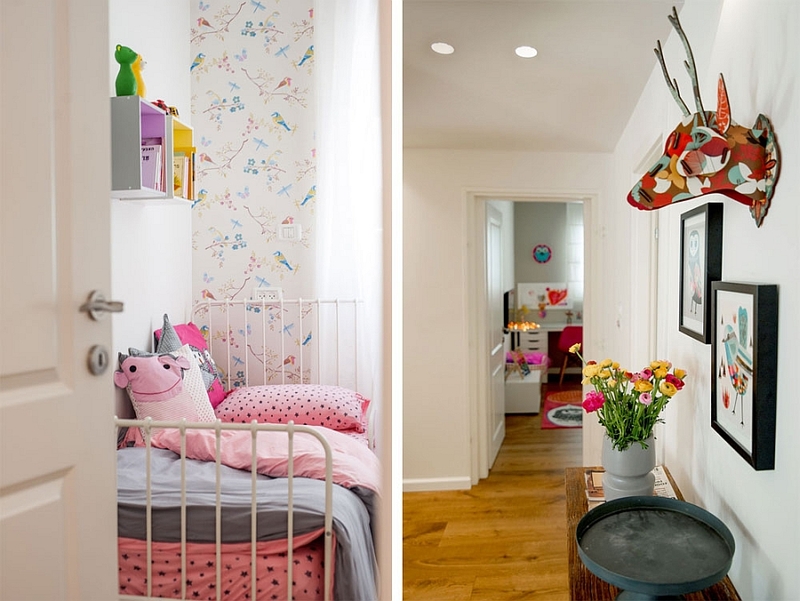 The children’s bedroom includes twin beds for both the girls, while an old nursery room was converted into a playroom and an organized hangout for the entire family. 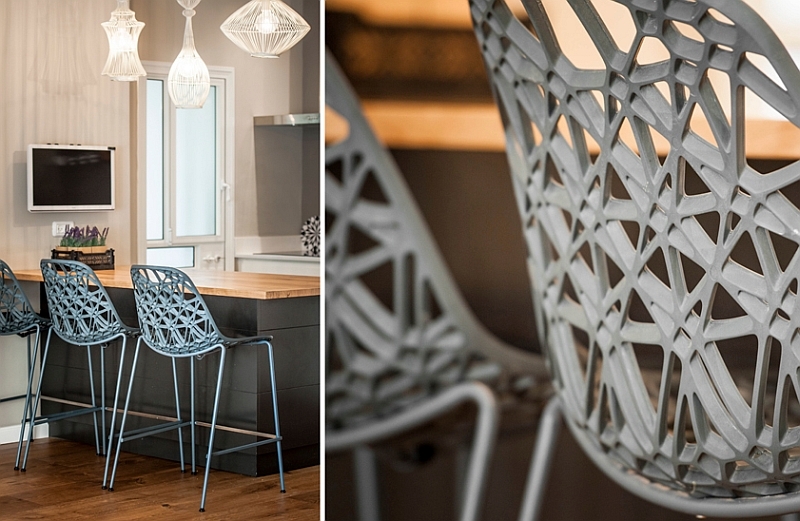 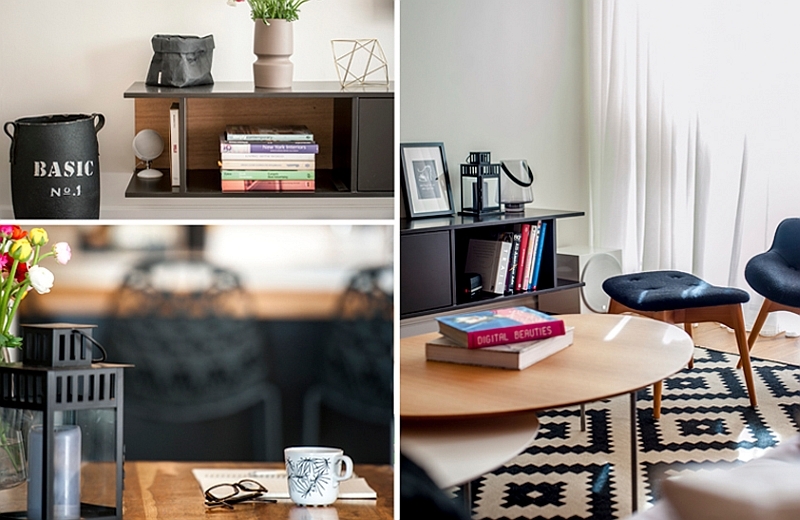 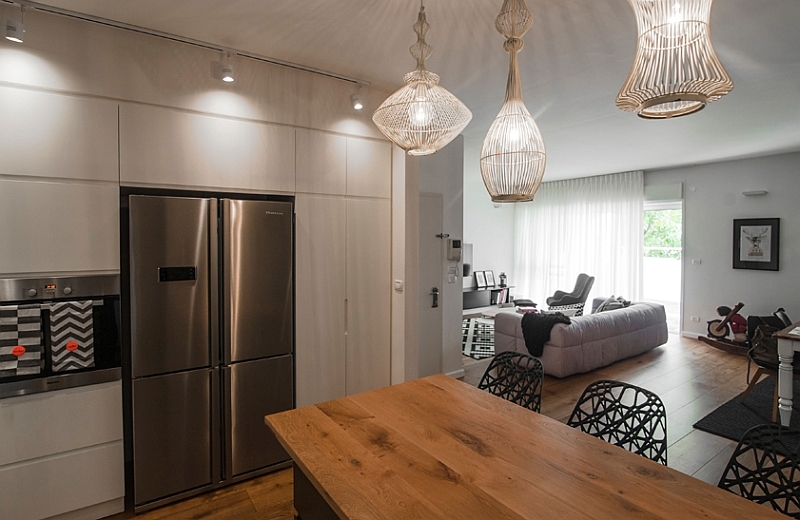 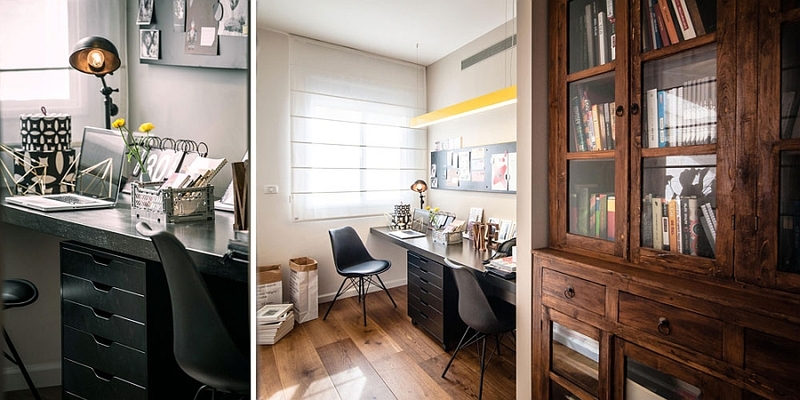 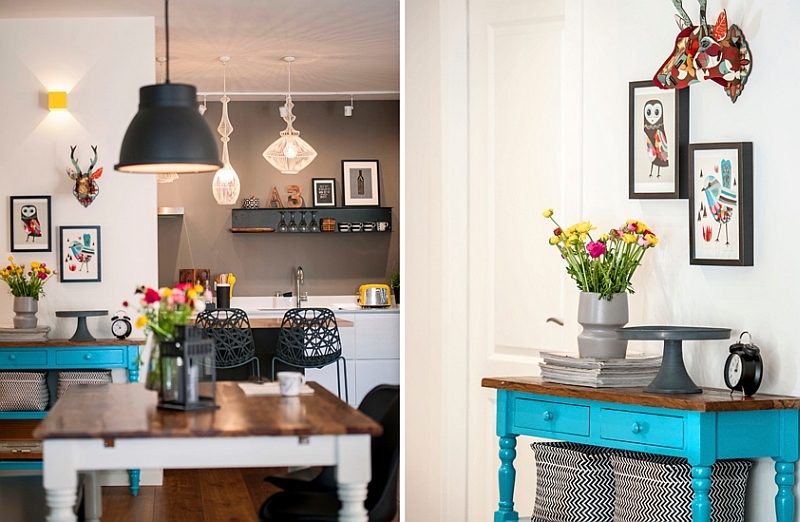 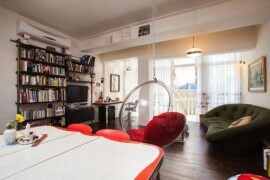 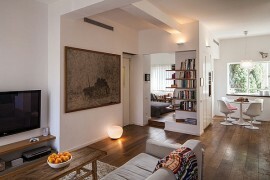 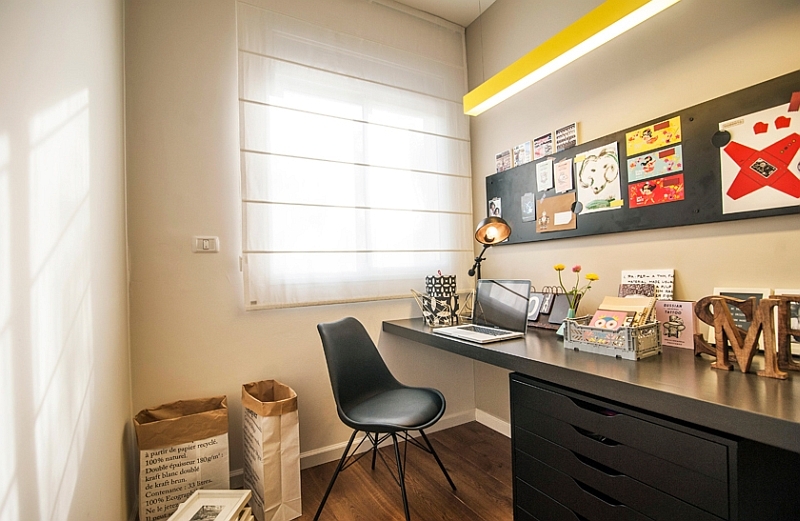 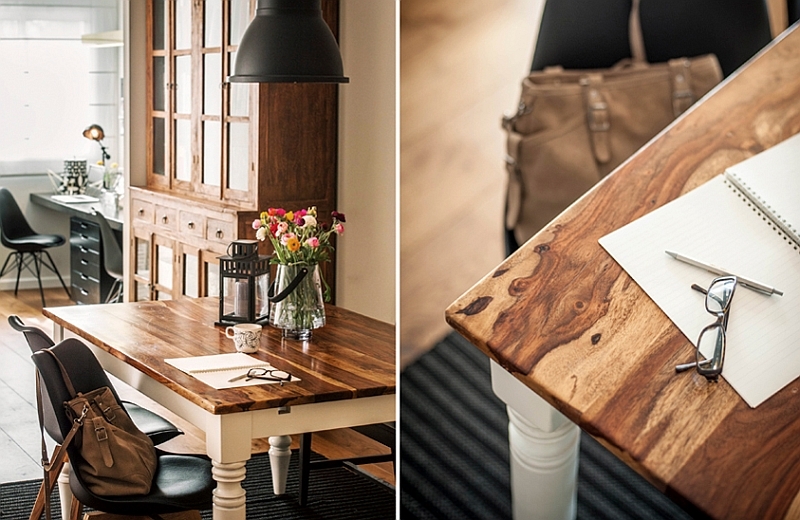 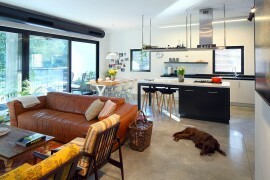 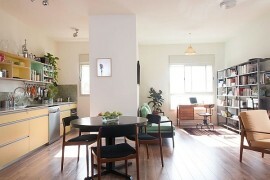 A deft home office and smart lighting complete this functional and at times quirky apartment.